There are three guiding principles that should underlie successful market segmentation, and therefore the success of a pharma brand. Phil Dunn explains the process. Segmentation research is a lot like the sky on the marsh where I live. It is big. It can take many shapes and colours. You need to experience it and know it well to appreciate its benefits. Over 20 years as a market research expert I have found that there are three guiding principles that can make or break the success of segmentation, and therefore the success of a brand. Getting them right results in a compelling and valuable segmentation. The alternative is an interesting, but bland, segmentation of little commercial use. After all, segmentation is an opportunity to look beyond what you think you know now and uncover insights that could give the brand the marketing advantage it deserves. The three principles can be summed up by ‘ACE’: A for Ambition, C for Creativity, and E for Energy. More than any other form of research, segmentation needs to start with specific goals. It is important to know from the outset why the brand needs segmentation and how segmentation is likely to be used. This may seem straightforward, but often different parts of a business will answer these questions differently. Therefore, from the outset invite as much input as possible from as many potential advocates and detractors of segmentation on the ‘why’ and ‘how’ to kick-start a debate or workshop about what it should achieve and what it must avoid. This will focus minds and shape the process, so that the brand team and the research that the business needs to complete will deliver against that ambition. Knowing what previous segmentations the client has seen. What worked and what didn’t work? There may be genuine concerns that a global segmentation may not be acceptable or that local nuances need to be given greater weight in the final segmentation than first thought. Having agreed – and defined clearly – the ambition for segmentation, the next step is to inject as many forms of creativity as possible into the research, and the way it is rolled out to the business. Research methods can feel generic. Agencies will talk about qualitative and quantitative research, but the creativity needed for pharmaceutical segmentation goes beyond method. A useful analogy is this: it is accepted that if we need to travel to New York on business we will fly. Therefore, it is no longer normal to eulogise about the benefits of flight. Airlines understand this, so it is unlikely you will see an advert that says ‘Wow, we can fly!’ Research is much the same; it is not the method, but what you do with it and what you find out that matters. Creativity comes from the content of conversations with physicians or patients: how they reveal insights the business will find valuable; how these same insights inform the creation of segments and the outputs needed to communicate them. Creative approaches to both the research and how it is delivered are available, but experienced guides who know these approaches will deliver the valuable insights. However, creativity should not be limited to the research. Stakeholder involvement and the way the segmentation is rolled out to the business needs to be as engaging and creative as possible. 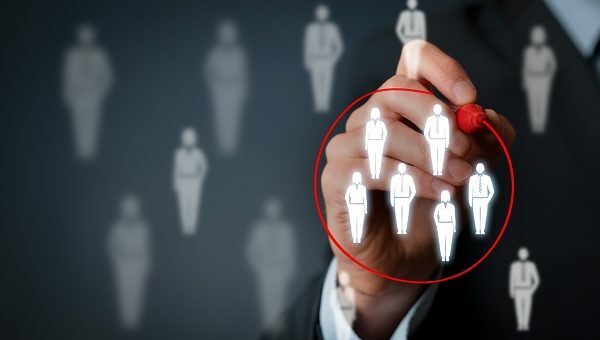 Agencies and client organisations need to ensure that segmentation does not become just another meeting, just another presentation, or just another research project. It is too valuable to the success of brand to be routine. It is also too valuable to be made into an education in statistics. Of course, whatever we do has to be grounded in solid and reliable information, but we mustn’t allow this to get in the way of the fundamental need for segmentation to be meaningful and engaging. What motivations, hopes and fears may exist that could be exposed in the qualitative research? Outputs – these must be more than just bar and pie charts! Map in external data (for example, Rep data). It is not unusual for segmentation to take six months or longer (from discussions about the need to segment, to conducting the research and rolling the findings out to the business). Therefore, it is important to keep energy levels high and spread evenly across the whole process. Planning may take 1-3 months, research 3-6 months and embedding 1-3 months. However the level of energy required over the three phases is likely to be similar. Often energy levels dip towards the end of segmentation (even though this is probably the most crucial time for the business to get to know, and plan, how to implement the segmentation). In order to inject energy into the process, add some fun into milestone meetings, by offering more light-hearted activities or inexpensive rewards to celebrate everyone’s commitment, for example. ACE your next segmentation project by keeping in mind the three factors: Ambition, Creativity, Energy. And, like the big sky on my marsh, to fully appreciate the nuances of segmentation, get yourself an experienced guide. Phil Dunn is head of THE QuantSHOP, a specialist quantitative research practice at THE PLANNING SHOP. His role encompasses innovating new research approaches, working with clients on quantitative research studies and facilitating brainstorms and workshops. With more than 25 years’ experience of managing quantitative research, he has expertise in segmentation, conjoint and pricing, as well as communications testing (such as message and concept testing).